The last night on the Sette. Jay the second steward during a drill. The first leg of the Sette’s HICEAS cruise is almost over. By tomorrow noon we will come into port at Pearl Harbor. The mission has been highly successful! The scientists and birders have had an action filled thirty days. The HICEAS cruise birders, Dawn Breese and Scott Mills have documented thirty-nine species of seabirds. In the “tubenosed” or Procellariformes order, there are the Petrels and Shearwaters. The Petrels include the Kermadec, Herald, Hawaiian, Juan Fernandez, White-necked, Back-winged, Bonin, Wilson’s Storm, Band-rumped Storm, Cook’s, and Bulwer’s. The Shearwaters include the Christmas, Wedge-tailed, Buller’s, Sooty, Short-tailed, and Newell’s. 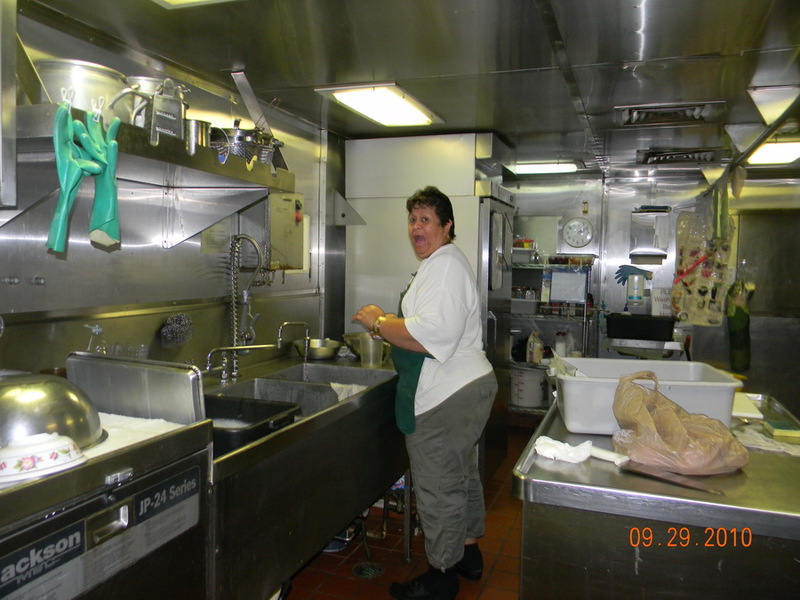 Clementine, the chief steward, in the galley. Her and Jay made a banquet for every meal! I surprised her! From the order Pelicaniformes the Red-tailed and White-tailed Tropicbird have been recognized and also the Brown, Red-Footed Booby, Masked Booby, and Great Frigatebirds. 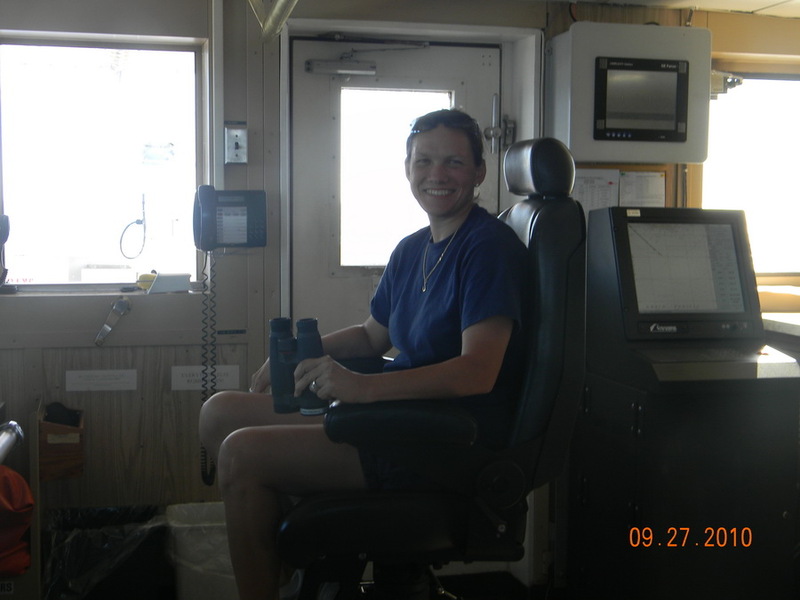 Harry, the chief engineer, during a drill. The shore birds seen so far are the Bristle-thighed Curlew, Pacific Golden-Plover, Red Phalarope, Ruddy Turnstone, Bar-tailed Godwit, Sanderling and Wandering Tattler. Terns include the Brown and Black Noddies, the White, Sooty, and Grey-backed Terns; Jaegers include Pomarine, Parasitic, and Long-tailed plus the South Polar Skua. The HICEAS mammal observers, Andrea Bendlin, Abby Sloan, Adam U, Allan Ligon, Ernesto Vazquez and Juan Carlos Salinas, have had ninety-seven sightings! The whales observed have been the sperm whale, Bryde’s whale, and Cuvier’s and Blainville’s beaked whales. The CO,commanding officer, Anita Lopez. The dolphins that were documented were the bottlenose dolphin, striped dolphin, Pantropical spotted dolphin, spinner dolphin, Risso’s dolphin, rough-toothed dolphin, killer whale, false killer whale, pygmy killer whale, and pilot whale. The scientists were able to obtain nearly 50 biopsy samples from live cetaceans, 1 necropsied Kogia, 3 tracking tags, and hundreds of pictures! If someone asked me what qualities and or skills are needed to work on a ship, I would use the Sette crew as my model. You must have dedicated, respected and competent officers. The engineers need to be resourceful and good problem solvers. The deck hands must be hard working and possess a good sense of humor. The doctor should be a model for good physical health and have a inspiring positive attitude. The stewards need to make creative delicious dishes, and be friendly and caring. The computer technician must be a great troubleshooter in order to work on anything that requires electricity. 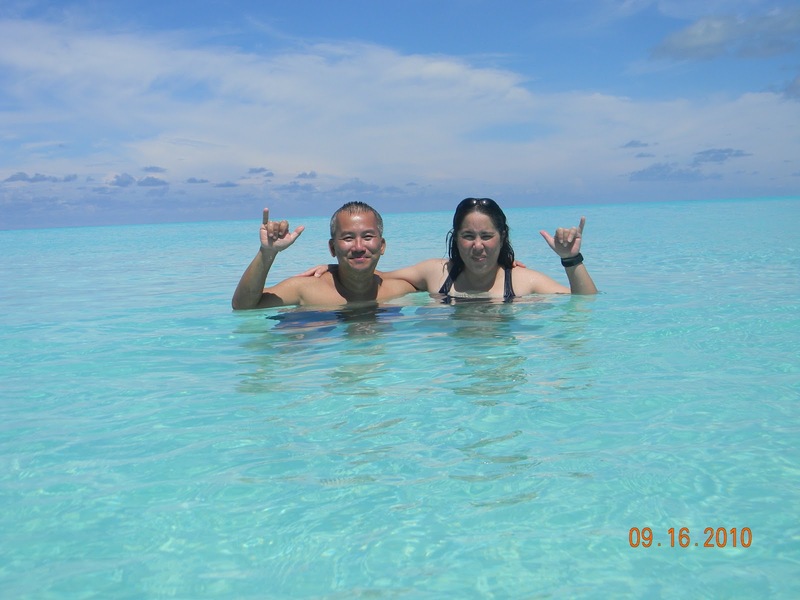 Dr. Tran and the XO, executive officer, Stephanie Koes went to Midway with me. The science crew must be focused, persistent and knowledgeable. I have observed that scientists, regardless of their role, whether they are mammal observers, accousticians, oceanographers or chief scientists, need to collect data, organize the information into the correct format, and then report it. All variables need to be accounted for. I am very impressed with the kind and helpful crew! They truly made me feel at home. That is exactly how it feels like on the Sette – like a home. They have welcomed me with open arms. 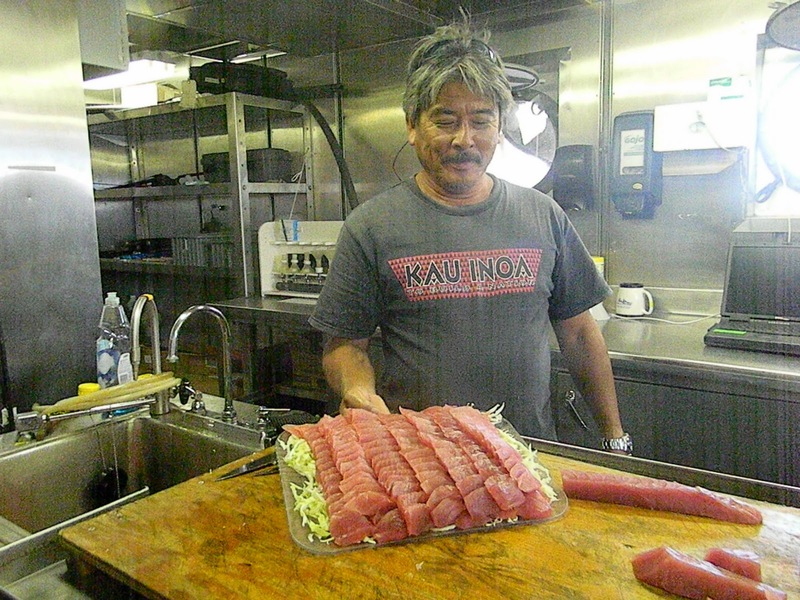 Kinji, the boatswain, cut up the yellow fin tuna into shashimi. I have learned much, much more than anticipated on this cruise. I was included in activities in all divisions. 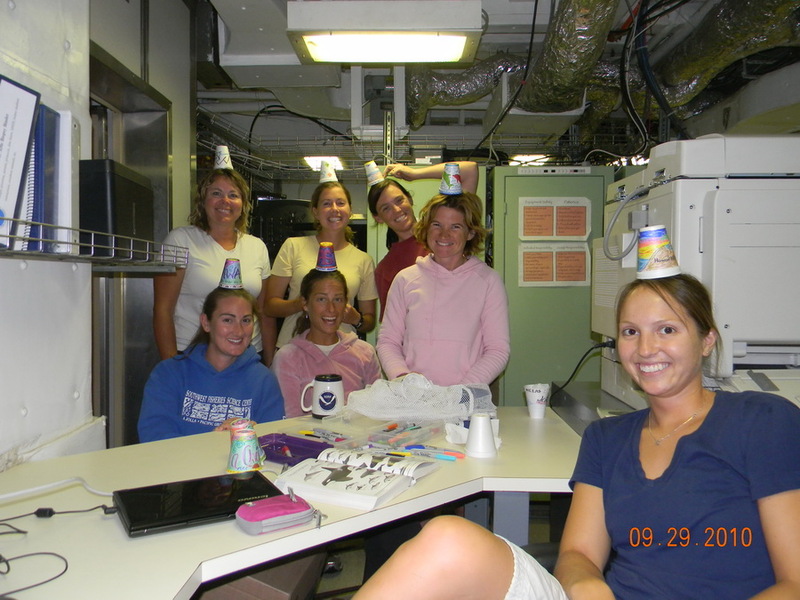 I was encouraged to help out the scientists by being an independent mammal observer, run security on the CTD, and help package and label biopsy samples. In the kitchen I learned how to sanitize the dishes and where to put them away, plus I got some helpful cooking hints to take back home and a lot of good conversation. 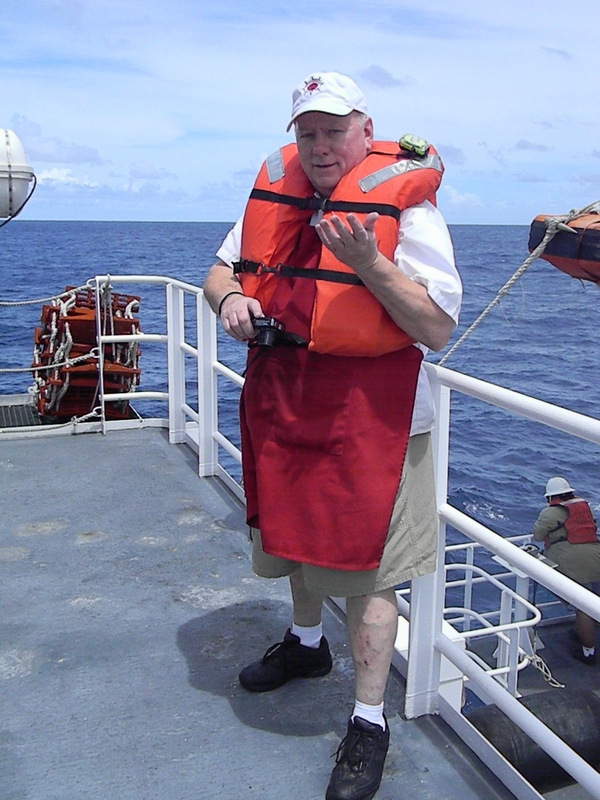 I helped the deck crew when working with the CTD and learned how to tie a bowline knot. I went up to the bridge and helped look –out during an emergency situation, was invited to the officer’s book review, and drove the ship. Wow! Do I have respect for people who can do that accurately! I received a thorough and informative engineering tour, and I am still impressed by all the systems that need to work together to keep the ship (which is like a mini city) afloat. The “girls” of the science crew displaying their cups before sending them down 3000 ft. with the CTD. They came back up less than half the original size. I wanted to be involved where ever I went. 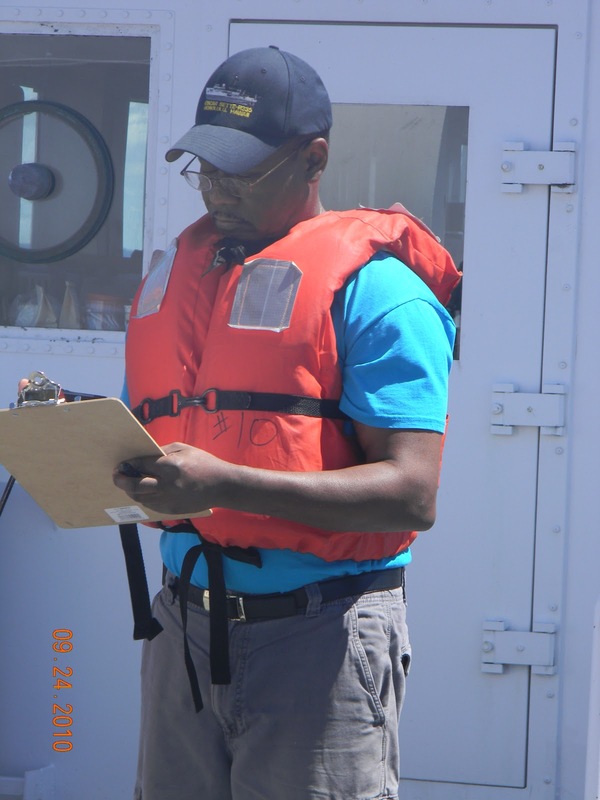 Learning by observing is great, but I wanted to be an active member of the crew and learn through experience. It is impossible to write down everything I learned from this experience, but I want to ensure everyone who was over-run with my many questions, that I appreciate all your time and patience with me. It feels as though I have a whole different world to show my students! Our Earth really is an amazing place of adventure! You never know who you will have a chance to meet or what you can learn from them! Thank you to everyone who shared their life with me. It allowed me to have a wonderful “soul filling” experience! 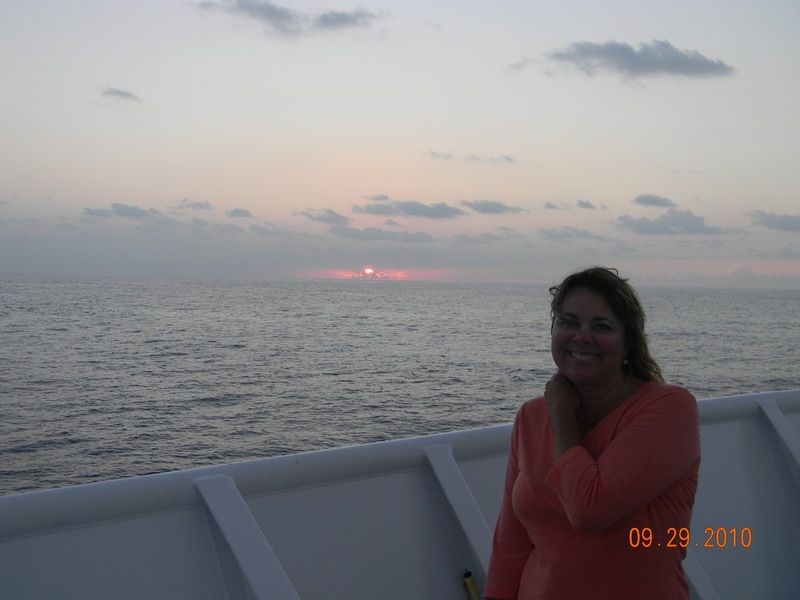 This entry was posted in 2010, Donna Knutson, NOAA Teacher at Sea and tagged ceataceans, Hawaii\, HICEAS, Oscar Elton Sette, seabirds, whales. Bookmark the permalink.